m.a.d.woman CEO and Founder Melina Schamroth will take part in her second sleepout in a month to raise money to break the cycle of homelessness. 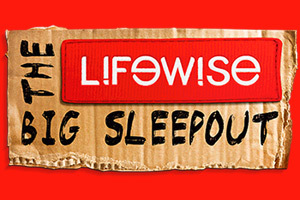 The LIFEWISE Big Sleepout is an annual event aimed at raising serious funds and channeling significant attention in the direction of solving homelessness in the city of Auckland. It is a night where business and community leaders forgo their creature comforts for a night of ‘rough sleeping’ as a way of making a public stand against homelessness. Put simply, it’s a no-holds-barred approach to exposing what is often an invisible issue. Please sponsor her efforts to support those doing it tough. Click HERE to support Melina.